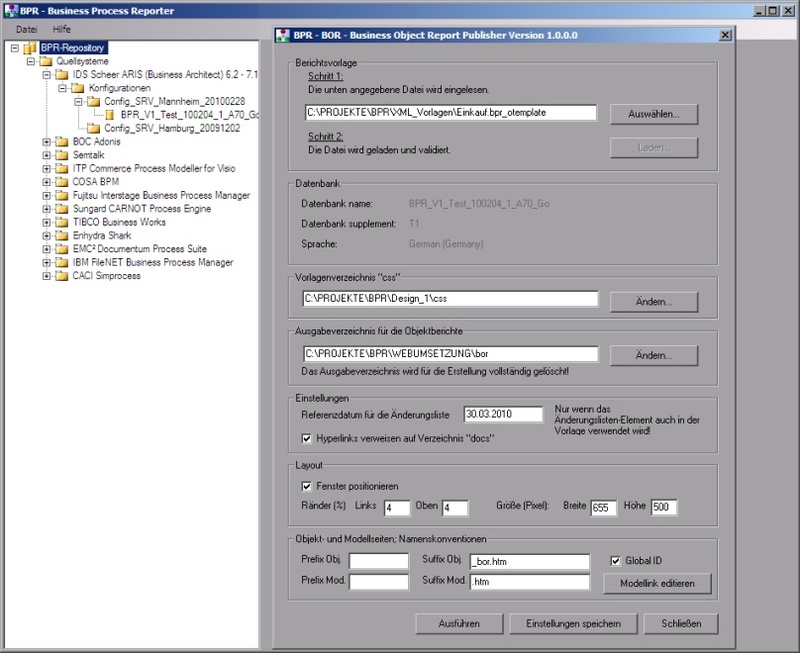 April 2010: Launch of a new product: BPR Business Process Reporter, a software which imports and publishes information from various BPM systems like IDS Scheer’s ARIS. The XPDL interchange format is supported. The result: optimal preconditions for active improvements in your management system. Look here for a product desciption, in the form of a Business Object Report itself.